Suffering from depression? Just get a job! 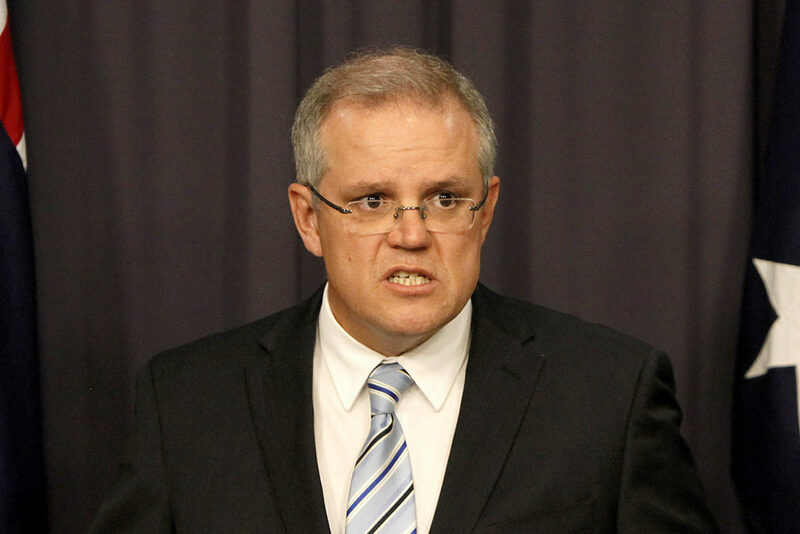 Former Immigration Minister Scott Morrison has a bit of an image problem; a common side-effect of locking kids up in detention, ignoring reports about their physical and sexual abuse for almost eighteen months and using their continued imprisonment as bargaining chips to get what you want. Since his promotion to the Social Services portfolio, though, Morrison has tried to present a cuddlier side of himself — he promised a “kinder, gentler” approach to welfare when he stepped into the role in February, and since then has largely refrained from activities and comments that might remind people of his erstwhile hard-man persona, like calling for the hunting of Centrelink dependents for sport or setting refugee boats on fire. Pictured: Scott Morrison, in his leisure time. But comments made by Morrison at a welfare conference this morning are drawing fire for their insensitivity to people with mental illnesses. Addressing the Australian Council of Social Service, Morrison said a job is “a prescription for a young person” with mental health problems and flagged his desire to see the private sector more heavily involved in welfare. Oh my GOD Scott Morrison. I have never heard such an absurd, uninformed opinion about young people and their mental health. HOLY MOLY. The mystical powers of gainful employment have been praised by the government before; Joe Hockey famously advised young people looking to buy a house to “get a good job that pays good money,” while neglecting to mention the unemployment rate. Morrison has defended his comments, saying the relation between employment and mental health comes from reputable sources. But his concern for the mental wellbeing of Australian young people is a little hard to swallow, given that he’s behind the proposed one-month waiting period for people under 25 trying to get unemployment benefits — a scheme Morrison has tried to sell in the past by declaring that welfare is not “a career choice”. Morrison was also confronted by a disability support protester and mother of three at a post-event press conference, who told the Minister her disability support pension has been taken away and asking him: “how in the hell am I expected to survive?” The Guardian caught the exchange on video.